I’d like to discuss how a man ‘Reasonably’ SHOULD and SHOULD NOT act. 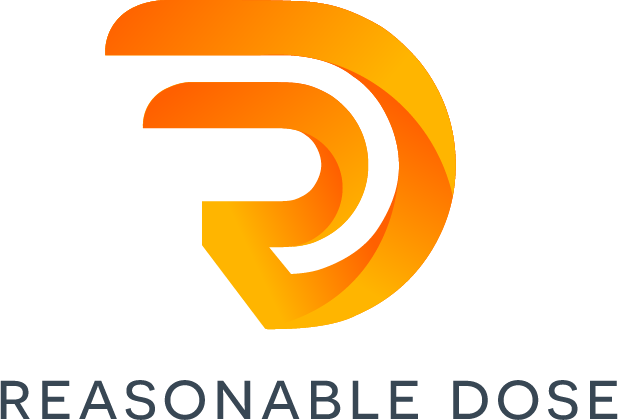 Remember, this is the ReasonableDose Blog….there is not really a right and wrong here, necessarily. We’ll just attempt to look over our lives, the facts we know to be true based on the experiences we’ve had, and our own truths. Then we come out on the other side with a judgement. Yes a JUDGEMENT! ‘I don’t know that it is bad to judge, that seems to be human nature. As you read on, remember I’m judge the Squishy man. I do not condemn him. The dad, the teacher, the husband, whomever. He doesn’t need to be exceptional or extraordinary. Just the average guy. That’s Reasonable right?! Should men be not firm? Should they not be steady? Subscribe Here and Tell me what you think! If you watch a movie that is pretty moving, touching, sentimental, a real tear-jerker! You start to feel the emotions coming on. They are swelling up inside, and you might let a few tears run down your cheek. That’s Reasonable. Understandable even. The Squishy – Man is very in-touch with his softer side. He brazenly admits it, and seems proud to do so. Why shouldn’t he be? That sensitive quality seems so….admirable! There isn’t anything ‘wrong’ with being closely in touch with your emotions, and having the courage to stare them down. While the ‘UnSquishy-man’ either avoided the question, or tried to down play the fact that the movie did move him emotionally. Is he ashamed of what he feels? The UnSquishy – Man understands himself also. He feels that showing and accepting his vulnerabilities, is NOT something he’s proud of. In fact, he may loathe his vulnerabilities. And would love nothing more, than to have them PERMANENTLY, maybe surgically, removed from ever fiber of his being. He understands the function of vulnerabilities, and weaknesses. He appreciates the lessons they teach him, every time they decide to enter his life so abruptly, and uninvited. He doesn’t want to acknowledge the weaknesses, and he’d never concede to such a beast. He will try, for the rest of his life, to strengthen himself where he is weak. He will defeat and defy the vulnerabilities he has, no matter how futile the fight may be. This is a silent vow, that all UnSquishy men take. One way isn’t necessarily RIGHT or WRONG. One way could be better or worse, right?! But one man, understands the fact that crying shows some vulnerability, and admitting it out loud, is another thing in its entirety. A Squishy-Man could never be phased when showing his vulnerable side – Admirable. Admirable, indeed…. **Disclaimer: I cried when I was 4 years old, as I watched The Land Before Time children’s movie. I still get a bit misty to this day when I watch. I don’t even want to fight it anymore! I’ve watched it with all of my children, and I have to turn my head to hide the emotion……EVERY TIME. ** Am I Squishy? Squishy Scenario 2 – Squishy-Dad! 2 Dads, one Squishy, one Not-so-much, have a kid. Gender of the kid doesn’t matter. They are both out at the playground with their 2-year-old offspring. Fun times! Everything is going great, the kid is probably on their 25th or 26th time going down the sliding board. NICE! On the 27th trip down the slide, something happens. The kid gets a bit lazy, starts to rush, maybe even fatigue is starting to set in. Who knows?! The on this trip down the slide, the kid forgets to put their feet down at the right time, and falls. In the same spot, they usually land feet first. But this time, they land face first. The dad’s notice the knees hit the ground first. Followed by the hands, then…..the chin. The wood-chips bounced, and so did the kid! Runs over. Picks up the kid, as they look up to him for help. He squeezes them tight. Squishy-Dad tells them everything is going to be ok. Holds them high off the ground, where it’s much safer, as they begin to cry. When they cry, the squishy-dad thinks to hurry them home. He’s got to get the kid all patched up, a band-aid, some ointment of some kind maybe, reason 1. He immediately checks his watch, and notices they are approaching nap time, reason 2. The kid could probably use a snack as well, reason 3. All things considered, they’ve got to go. Three’s the charm! Turns away from the kid. He turns just enough, that he can still see what’s going on. He can see the kid from the corner of his concerned eye. The kid looks toward dad for help. Dad stays turned away from the kid, rehearsing what he remembers actually happening…. The kid, pokes out their lip, stands up, begins to cry but thinks better of it, reason 1. Dad is then able to see that there is no blood, reason 2. The kid brushes off their knees, then hands, ignores their chin, and proceeds to log trip number 28 down the slide, reason 3! UnSquishy-Dad physically didn’t move and inch. He watched the happy kid go back down the sliding board laughing out loud, again and again. Repeating, ‘Daddy, I fall! Daddy I fall down!’ Music to his ears! The squishy-dad in a sense, becomes a frantic and unsettled version of what he is supposed to be. His reactions run wild. They eclipse the reality, of what’s really happening. The kid, has a mom, and a dad. Hopefully, the dad isn’t so….squishy. Because if he is – where is the Reasonable Balance? Squishy Scenario 3 : Squishy – Husband! I am a husband so I took a poll from my wife. FYI she’s got a Blog at FindingTiffany.com. Check her out. WOW! Well, thanks for that Tiff…. We’ve all seen this guy. You may even be this guy, and if you are, I’m very sorry. I was in a Department Store, Kohl’s, I think. There was a husband and wife out shopping. They needed a new comforter set for their bedroom. The wife says that she want’s this nice floral print to go on the bed. She’s excited about how it might match the drapes. I’m thinking to myself, “Dude, DO NOT get a floral print for your bed. EVERY NIGHT when you get in the bed you’ll have a bunch of flowers to look at.” He says, ‘ok honey’. What….OK HONEY?! It’s bad enough you’ve allowed, yes allowed….floral print drapes into your bedroom, now a floral print comforter set. SQUISHY. And don’t give me that, ‘What do I care. It’s only a bed spread. She could pick what ever she wanted’ crap. He’s at Kohl’s with his wife. She says to him, “So what do you think about a comforter set? What jumps out at you?” Very different right! She would NEVER, in a million years, think that it’s ok exclude her husband from such an important decision like, picking the bedroom comforter set. He’s not the kind of guy, that would accept a floral print suggestion, and she knows it. He’s made it clear. He’s a man, and not a squishy one. He doesn’t mind a nice lavender, or taupe, something neutral. He’s looking for a compromise and something they both can get behind and wouldn’t accept anything less, Reasonable right? He’s not squishy, and he’s certainly NOT going to lay down on a bunch of roses, with silk pillowcases and pretend everything is Ok.
Men should brush off the knees of their kids and tell them to ‘get back out there’, when they fall. Men should know how to throw a ball – and well. Men should want to be able to protect the women they are with – physically. When you cannot notify the proper authorities, he’s got to do something. Men should not wear SKINNY JEANS. Men shouldn’t be ashamed when they burp out loud – but, they should avoid it and excuse themselves if it happens accidentally. Men shouldn’t wear lip gloss. It’s just weird. Men should kill spiders when asked. Men should have punched someone, at some point in their lives. Men should try to stop arguments – not start them. Men should discipline their children. Men should not bend to the unReasonable demands of the women they are with. Men should not yell, but mean it when they do. Men should like the way a woman moves – and not be ashamed of it. Men should push their luck, and know when to quit. Men should drive above the speed limit sometimes – and enjoy it. Men should raise other Men. That all grow up to follow all of the rules above! See you in the next Post Team Reason. Click Here to Subscribe! Next story People are Givers or Takers – There is Nothing in between….. Previous story Women are Banks!